My fascination towards nature emerged from a very young age, as I grew up in a forester’s house in Germany. In the fall of 1977 I visited British Columbia and Alaska for the first time. The vast and incredible beauty of the landscapes, the abundant wildlife, and especially the magnificent bears grasped my attention. 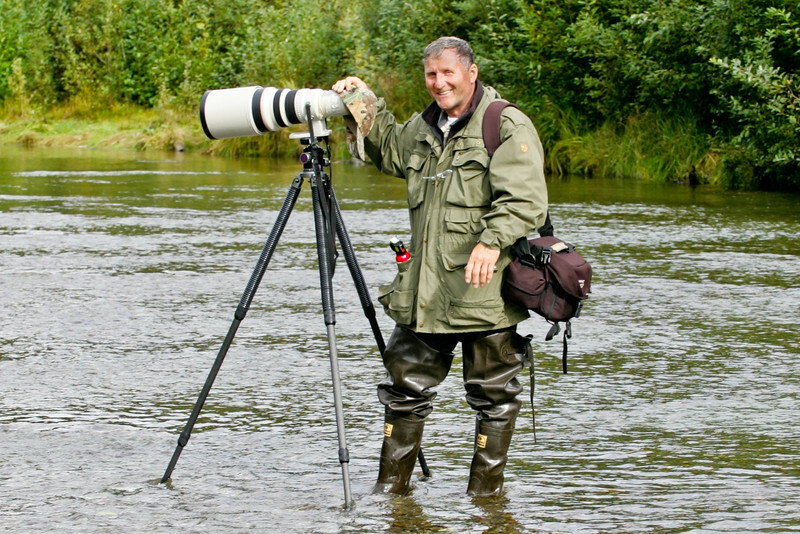 This trip transformed me from a hunter into an avid Nature and Wildlife Photographer. Since 2003 I have spent half a year annually in North America, with my main focus on observing bears in their natural environments. It was in 2003 as well, that I found a special book in a second hand book store in Port Townsend , WA. It was Andy Russell’s “Grizzly Country” from 1967. In his book he describes his transformation from being a well-known bear hunter’s guide into a filmmaker offering a totally new perspective of Grizzly bears. “Hunting, as an art,” he claims, “can be refined to its highest degree through the medium of photography”. I was so impressed with his views that I wanted to follow in his footsteps. Now, with my own images of bears, other wildlife and scenery, I wish to create an awareness of the beauty, importance and uniqueness of all wildlife.